Welcome to the magnificent Prince of Wales Theatre at London! 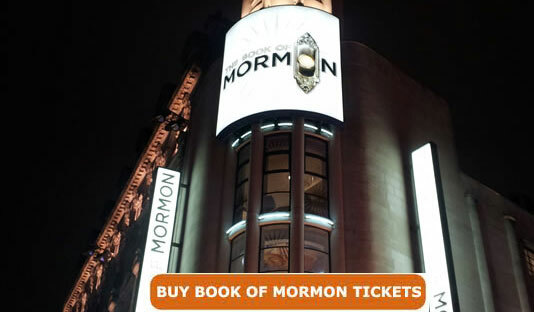 The opulent London Westend Theatre is running the blockbuster London show, Book of Mormon with packed houses. 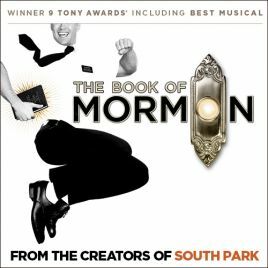 The four time Emmy award winning makers of South Park, Trey Parker and Matt Stone have created this super duper hit blockbuster Book of Mormon. The story revolves around the mismatched Mormon Boys who have been sent to a remote place for a mission. The brilliant show The Book of Mormon has been written by Tony award winning writer of Avenue Q, Robert Lopez, whereas it has been co-directed Mr. Parker along with three time Tony nominee Casey Nicholaw. For audience above 18 the show will be suitable, as it has some frequent explicit language usage. Experience the spell binding show at the magnificent Prince of Wales Theatre which is one of the most popular London Westend Theatres. The Prince of Wales is situated in Coventry Street which is close to Leicester Square in the City of Westminster. In the year 1884, theatre had been founded, whereas underwent rebuilding in the year 1937. The current owner of the theatre is Cameron Mackintosh who has made huge refurbishment in the year 2004. On the same location, C J Phipps constructed the first theatre on January 1884 as Prince’s Theatre. He constructed this theatre for the actor manager Edgar Bruce. The theatre was a traditional three-tier with occupancy of 1000. In the year 1886, the theatre was renamed as Prince of Wales. The favorable location of the theatre made it one of the most popular and easy to access amongst all the theatres. The brilliant positioning of Prince of Wales between Piccadilly Circus and Leicester Square is one of the significant factors of the theatre. The theatre hosted some of the popular shows such as W S Gilbert’s The Palace of Truth, In Honour Bound, the record breaking Dorothy, Mamma Mia, Let It Be and now Book of Mormon! So come and catch your favorite London musical The Book of Mormon at the magnificent Prince of Wales Theatre! Get set to catch the sensational 18th Annual WhatsOnStage Awards! The latest big ones to join the must awaited annual event Everybody's Talking About Jamie is Tyrone Huntley (Dreamgirls, Jesus Christ Superstar), Alice Fearn (Wicked), Janie Dee (Follies) and Mazz Murray (Mamma Mia!). Russell Labey is all set to direct the great concert under the musical supervision by Alex Parker, sound by Dan Sansom and lighting by Jack Weir. The spectacular concert will be produced by WhatsOnStage and Stuart Piper for Cole Kitchenn, with production management by Chris Fisher. On 25th February 2018, the annual ceremony will takes place at the Prince of Wales Theatre with names of the years’ winners of prestigious WhatsOnStage Awards will be announced. Some of the top UK theatre talents will give their performances. During the launch last month, the nominees of the WhatsOnStage Award s were announced. Some of the remarkable nominations are Bat Out of Hell and 42nd Street leading the way with eight nominations each. Names in the the Best Actor in a Play category are Andrew Garfield (Angels in America), Andrew Scott (Hamlet), Bryan Cranston (Network), David Tennant (Don Juan in Soho) and Martin Freeman (Labour of Love). On the other hand, names in the Best Actress in a play are Eve Best (Love in Idleness), Imelda Staunton (Who's Afraid of Virginia Woolf? ), Olivia Colman (Mosquitoes), Natalie Dormer (Venus in Fur) and Tamsin Greig (Labour of Love). Public can buy the tickets for the concert and the awards themselves, where audience can choose the winner at every stage of the voting.